Karnes Legal Services’ mission is to provide superior legal representation to achieve optimal results in resolving a client’s legal issues, while exercising the highest standards of professionalism. 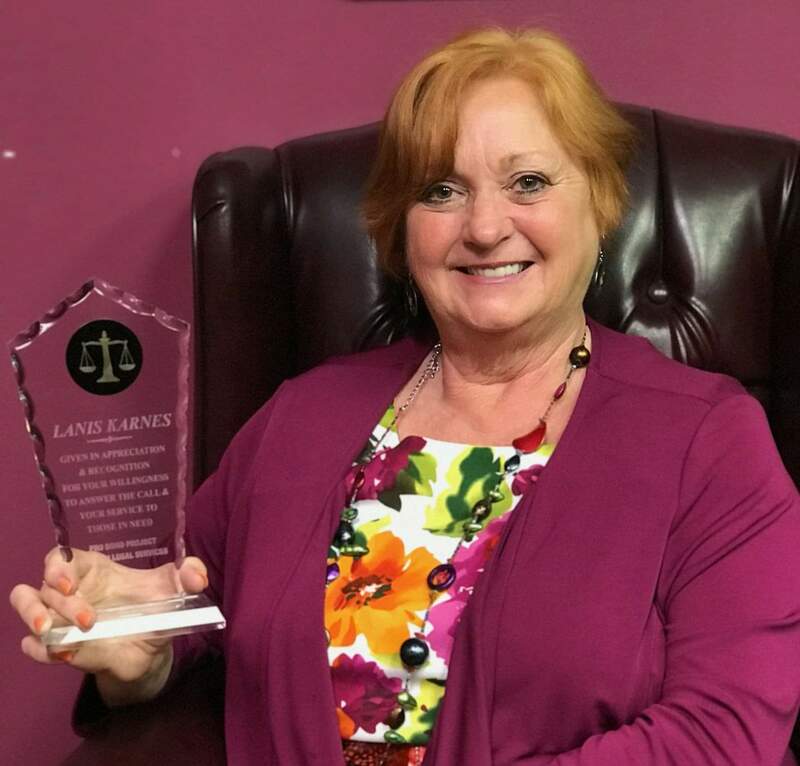 Lanis Karnes’ mission is to ensure that the law and justice are served and that our constitutional rights and traditional family values are upheld. · Uphold the highest standards of professionalism by exercising unfailing honesty, integrity, fairness, loyalty, compassion, and courtesy. · Seek and maintain the best reputation in the community regarding client representation, ethics, morals, and professionalism-and remain in compliance with the Rules of Professional Conduct and the Rules Concerning the State Bar. · Educate the client on all legal (substantive and procedural), moral, and other relevant issues in the case. · Provide the client with pragmatic legal advice, explaining alternatives and consequences, including giving a fair estimate of the probabilities of success and failure on each alternative, without telling the client what alternative to take. · Inform the client of all case developments. · Provide the client with copies of all documents received by the attorney. · Lanis Karnes’ vision for KLS is to bring together a group of individuals who share a desire to perform challenging, exciting and sophisticated legal work in a cooperative and profitable environment. · The firm’s Attorneys and paralegals has a combined total years of experience are over75 years. KARNES LEGAL SERVICES is an equal opportunity employer. Religion, age, gender, national origin, sexual orientation, race, or color does not affect hiring, promotion, development opportunities, pay, or benefits.